Thomas R. Lancaster of Alpine, Texas, has two web pages, one for each side of his GFRC work. One of his sites is for what he describes as his “day job,” Lancaster Concrete Designs, which produces custom concrete countertops for residential and commercial clients. His other site, Thomas R Lancaster, features his other GFRC creations: fine art pieces. 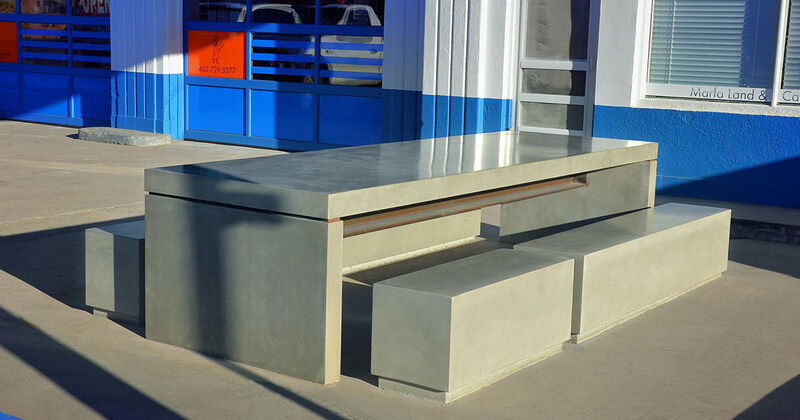 Lancaster, a 2011 graduate of The Concrete Countertop Institute, got his first GFRC job in 2012, creating a bench outside an art gallery in Marta, Texas. The piece is quite large. The tabletop measures 11 feet by 3 feet. The benches, which are divided into two sections, are 6 feet and 4 feet long, respectively. Logistics, however, is something that Lancaster enjoys. Completing the bench and table in Marta involved coordinating with other professionals, and quite a bit of preparation. The finished design incorporates a steel I-beam, which runs down the middle of the piece. This was installed by metalworkers. Lancaster then poured the concrete pads into which the benches were seated and installed the rest of the piece. The end result, as seen in the image, has a peculiar visual effect when viewed in person. “It kind of gives the appearance that it’s floating. That was the architect’s design,” Lancaster says. Lancaster was able to take on such a complex GFRC project for his first outing, despite not having extensive experience with concrete countertops before attending CCI. When Lancaster finished his education at CCI and went into business in Alpine, he didn’t even have a space set up. “I had to go back and build a studio before I could even start. I had no place to even make concrete,” he says. Lancaster lives in the Big Bend area of Texas, near the US/Mexico border. The area is noted for its natural beauty, but Lancaster points out that the remoteness of the region can make it challenging for businesspeople. 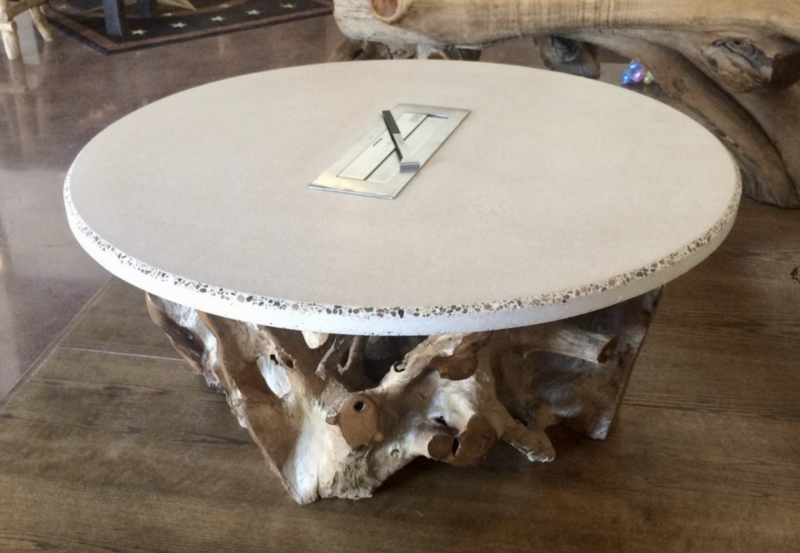 Nonetheless, his portfolio at Lancaster Concrete Designs features several impressive countertops and other features, and he continues to expand upon his artistic work. In addition to building a concrete countertop business, Lancaster launched a career in the fine arts. Lancaster is currently being shown on curated art sites, having his works displayed in galleries, and he recently won third place in a competition in Toronto with one of his sculptures. Lancaster’s pieces already show off a distinctive style. Some of his designs incorporate wood and metal into the concrete, feature complex geometrical and numerical patterns, and utilize the versatility of GFRC to lend to the pieces engaging lines and shapes. Some of his pieces incorporate LED lighting into the work. Many of his pieces have a very modern feel to them. He says that describing his style, however, is challenging. 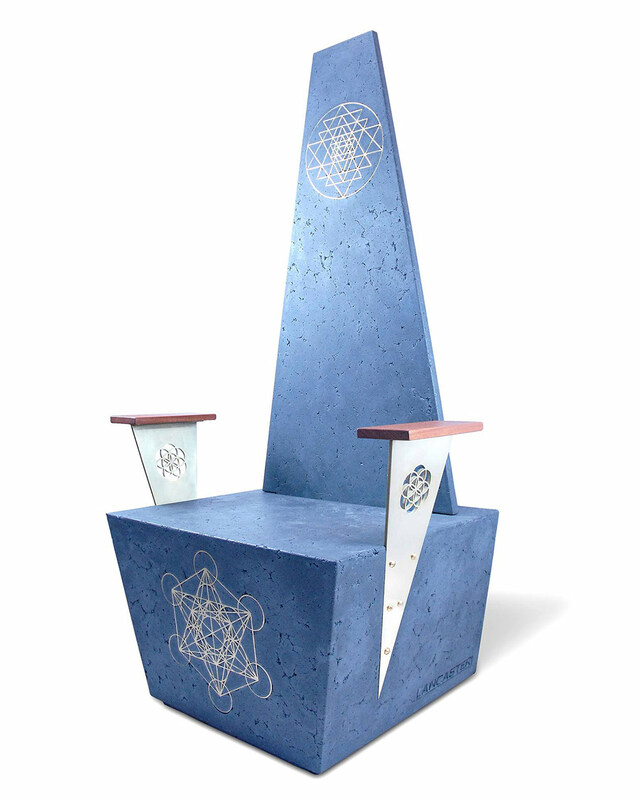 A piece entitled Sacred Geometry Concrete Throne, featured on his site showcases how Lancaster’s use of mixed media, including concrete, wood, and metal, combined with very intricate decoration, imbues his pieces with a unique look. He finds that GFRC is entirely flexible enough for his creative endeavors. While Lancaster would like to eventually work entirely in the fine art world, the countertop side of his business provides a sort of “day job” at present, and some of his artistic tendencies certainly find expression in his countertop work, as is visible in his portfolio. Lancaster’s work, from both his countertop and artistic endeavors, can be found on his websites, which also feature a list of his current and past exhibitions.